In today’s busy world you only get a few seconds to capture attention and create an impression, to set the right tone and generate strong brand impact. 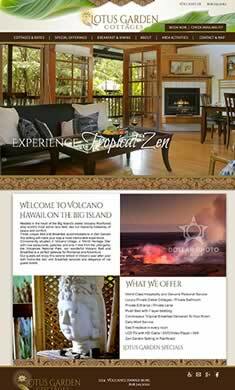 At Wowi Zowi Productions we develop custom websites that allow you to communicate your powerful message in a concise and memorable mode. We design compelling and relevant graphics with experiential photography to clearly convey your identity and captivate your target audience. 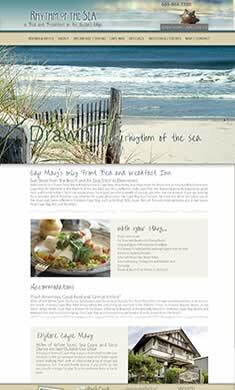 Since 1999, we have offered cutting edge website development and marketing to bed & breakfasts and boutique hotels.In today’s busy world you only get a few seconds to capture attention and create an impression, to set the right tone and generate strong brand impact. At Wowi Zowi Productions we develop custom responsive websites that are google compliant, that allow you to communicate your powerful message in a concise and memorable mode. We design compelling and relevant graphics with experiential photography to clearly convey your identity and captivate your target audience setting you ahead of your competition. We can’t speak highly enough of Roby & Carolyn. The quality, creativeness and professionalism of what they do is second to none. Initially we were apprehensive about the expense of creating a new website. The fact is we recouped our outlay in less than 2 months. The new website that Wowi Zowi created has paid for itself many times over in just a one year period. So for those thinking that you cant afford a new website, honestly you can’t afford not to have a new one created by Roby and Carolyn. Roby and Carolyn, WOWI ZOWI!!!! “You’re my heros!!! 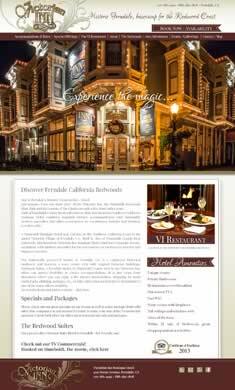 I took a Google Analytics class at the California Bed and Breakfast Inns conference in 2/09 and was amazed to learn of what a great job you did with Search Engine Optimization! My reports show a very low bounce rate on all of my pages (thanks for re-directing the way my pages read, look and are perceived…even the titles more accurately deliver to the customers), and I have a huge new customer base, along with a very respectable “time on site”…I don’t mean to brag, in fact-I can’t You did this. Amazing!. 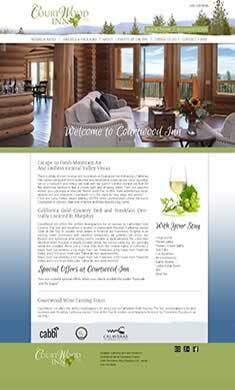 That website and those pages are giving my potential guests just what they are looking for…in a unique and beautiful design. You have far exceeded my hopes and expectations. I wouldn’t hesitate to recommend your services to everyone! We just wanted to give you some statistics about how the web-site has influenced our business. 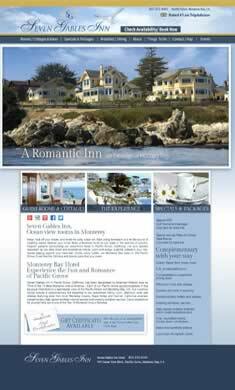 So far this year, we have increased our business over 30% and guests, when they call and are viewing the web-site, are unanimous in their raves about the beauty of the photos and how well they show off the Inn. 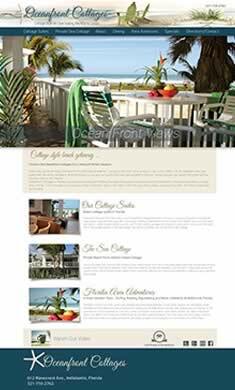 Thanks again for all you have done to make our web-site one that attracts guests inquiries and encourages them to book. You cannot imagine how thrilled we are to have found you for the design of our new web site. 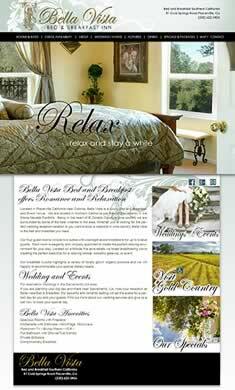 We had just given our rooms a new facelift and our old site was not doing us justice. 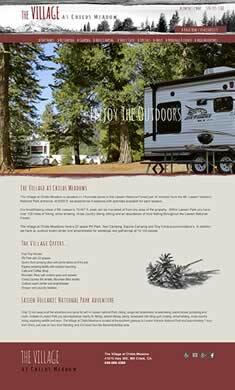 Since the launch of our new site, that you designed, our advance reservations have far surpassed our best year. All phone calls are instant bookings and we are rushed off our feet to keep up.We can’t complain! 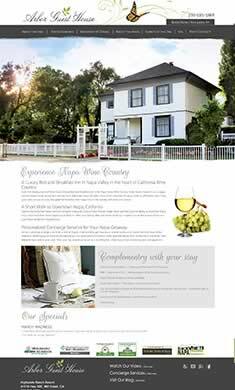 We put it all down to your design and how our new site showcases the architectural style of our Craftsman Inn and differentiates us from the many Victorian Inns our town is so well known for. 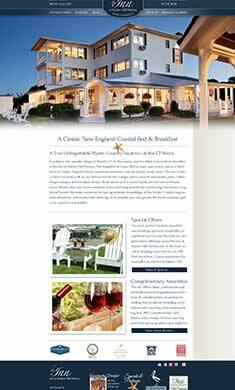 It all began at a regional conference when Sandy Soule of Bed and Breakfast.com made the statement that if your guests come in and exclaim, “Oh, it’s much nicer than the web site shows!” then there is something very wrong with your web site and the photography needs to be addressed. My assistant, Julie, and I just looked at each other, horrified, as that is what we heard from our guests every day!! Immediately I began researching photographers and designers and figuring out a way to let my past web designer know that I would no longer be in need of his services. It’s difficult to sack your friend and neighbor! My initial contacts turned me down as they only cater to one site per town. However they highly recommended WowiZowi. When I logged onto your website I was immediately ‘wowed’ (and continue to be) and I couldn’t wait to get started. Your ease of direction and patience with me was so appreciated. I am now working with Roby on an e-marketing campaign to let our repeat guests know to hurry and book as there are so many new guests finding us thanks to your exceptional work. 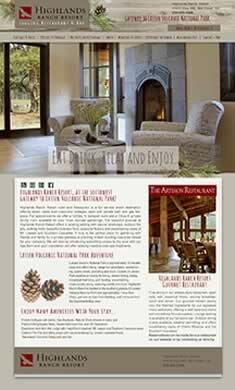 Carolyn has put together a beautiful rack card that matches our web site design – a real quality product. I have just checked in a guest and he commented, “thank goodness for your website. You were just what we were looking for and the site shows you off perfectly!” Everybody is smiling.